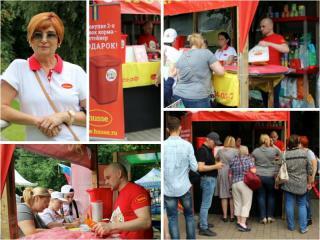 On Saturday 21st of July Husse took part in family festival "Freshness of summer" in the Catherine Park in Moscow. Husse stand attracted many visitors who already placed their first orders. 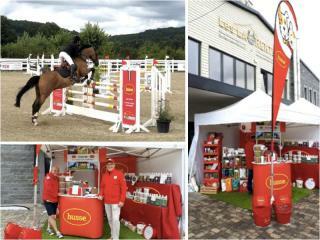 From 5th till 8th of July Husse participated in National Jumping Competition Les Laurentides in France. Dominique Day, franchisee from Thionville and Jean-Luc Barlon - equine consultant, were giving advises to the visitors and promoting Husse equine products! 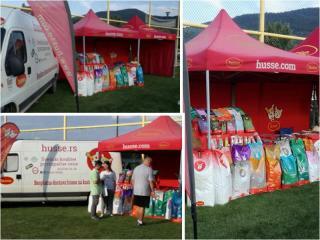 On the 28th of July Husse took part in the International Dog Show CACIB Sokobanja 2018 in Serbia.